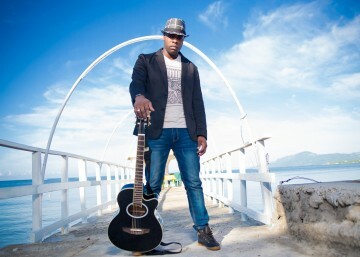 Cario, is a Jamaican Recording artiste who is described by many as “an artiste for this time”. Cario, known for his captivating vocal abilities, started singing at a very young age having lead roles in his high school choir and even at church in the children’s, youth and adult choirs. Cario’s ability to write songs came naturally, when at age ten(10) he wrote his first song; “Whenever You Trodd” (a gospel song, as he grew up singing in church). Cario writes and performs alternative lyrics, Keeping true to the values instilled in him by his parents and the harsh reality of his past and his songs are aimed at upliftment in every aspect of life. Describing his music as “Life Changing”, Cario says “I have always known my place in music was well polished and waiting for me”. Cario grew up in the little town of Hector’s River in the parish of Portland. A past student of the Happy Grove High School in the Parish, he grew up on Christian principles where like his brothers and sisters can attest, going to church was like his second skin. “EVERY Sunday was church, every Sunday … me did se every?” he said jokingly. This fact explains the never ending floods of conscious lines and thoughts no matter the tempo of his tracks. Cario says his positivity is what keeps him on a daily basis, “I don’t just write positive lyr­ics, I live them. I don’t sing or write about things that I will not do just because it is ‘in’ or because I can. Music is very powerful which means a musician has special powers. A fool with power is still a fool and will lead people astray.” This he says is his man­tra; to use this power to effect a positive change. He graduated with a Bsc. Hon. in Human Resource Management from the University of the West Indies in 2012. While in College he served as a member of the University’s Pop Society where he performed on several productions the group executed. In the latter part of 2013 he released two songs which propelled him further towards achieving his goals as an Artiste; Life Affi Go On, produced by American based record label Upsetta Records which received rave reviews internationally and Fear No Evil produced locally by Jay-Crazie Records. He describes both songs as reality and outlines that aspects of both are from his experiences and admits “I still listen to them for encouragement”. Several young artistes have emerged to revive the Reggae genre, to this he says he is very grateful as it is very much needed especially now when the youth (even though they might not know) need guidance. He recently released his latest work, which is a collaborative effort with international Billboard producer Ainsley ‘Notnice’ Morris; Making It Known. Look out for this exciting new track. Please contact us at Jack Russell Music if you would like to use any of Cario’s compositions for film, television, electronic media or covers.